Prefer Mickey more than Mario? 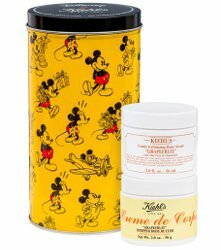 A Kiehl's Grapefruit duo in a Mickey Mouse tin: "Kiehl's presents a special collaboration with Disney, honoring the original and classic, Mickey Mouse. This holiday, we celebrate our love, laughter and legacy with this timeless icon. Exfoliate and moisturize skin with the refreshing scent of Grapefruit. This energizing body scrub gently smoothes skin with naturally derived exfoliates coupled with Aloe Vera for soothing moisture. Follow with the rich moisture of Jojoba and Shea Butters in Creme de Corps Whipped Body Butter." 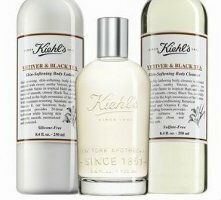 With two 59 ml tubs, $24 at Bergdorf Goodman. 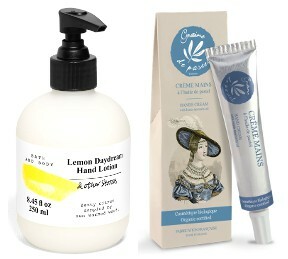 It’s officially spring in my part of the world, although my skin might beg to differ: the recent ups and downs in temperature and humidity have wreaked havoc with my face and hands, leaving things feeling a bit rough and itchy. As of today, I’m still wearing my winter coat, but I’ve expanded my hand cream collection so that there’s a tube or bottle waiting for me in every tote bag and desk drawer. Here’s a sampling of my recent good-smelling favorites. We won’t start our “official” series of holiday gift posts until Black Friday, but since advent calendars tend to sell out quickly, we’re posting those early this year. We already did Part 1; today, we’ve another handful of fragrance-related calendars plus one tea calendar and one chocolate calendar. (Please note that many of these calendars are not available in the US. Clearly they like Advent calendars in the UK more than in the US).